Hawkshead commissioned us to make a documentary for visitors to their Beer Hall in Staveley. ‘Barley to Beer’ tells the story of how a pint of beer is made. 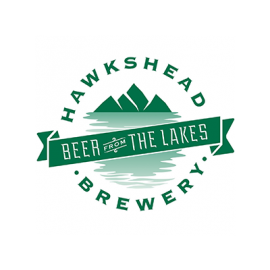 Hawkshead Brewery brews distinctive, flavourful, modern beers and is one of the most successful of the new wave of independent British breweries. We were briefed to produce a video that captures the process of making beer. Our creative treatment for ‘Barley to Beer’ was a documentary telling the story of a pint of beer, from the barley field, hop pickers and maltsters through to the brewery and the pub. With voiceover from ex BBC Radio 4 presenter Alex Brodie we filmed around the UK to produce this film to be shown at the brewery’s visitor centre with accompanying photography. I made Barley to Beer with Tom and worked with him on location for a week. I found him to be accomplished, inventive, perfectionist, thoughtful and tactful. The resulting film was just what was required and it was delivered on deadline. I would not hesitate to recommend Digitom’s work.